The nineties were a relatively barren period for the Reds. It began with the departure of a true great and the arrival of the wrecking ball that was Graham Souness. I have lauded Souness the player, but as a manager he did the footballing equivalent of paving paradise to put up a parking lot. The consequences of his demolition of the boot room reverberated throughout the decade and it wasn’t until 2001 that the club re-emerged. So it is sharp contrast to the previous two decades glory and triumphalism that I begin the next chapter of Liverpool’s hardest goodbyes. Kenny Dalglish was, until very recently, the clubs greatest ever player. To The Kop he was King, to me he was God. My bedroom wall was a shrine to the man and he could simply do no wrong. I would have gladly walked a million miles for one of his goals, but fortunately I only had to walk a few to Anfield. I feel blessed to be able to say I saw him play regularly. His smile lit up the ground when he scored and you had the feeling that, like Shanks before him, we were made for Kenny and he was made for us. When Joe Fagan chose to step down after the ill-fated European Cup final against Juventus, I was delighted that they decided to anoint the King as player-manager. Bob Paisley joined him for a while as special advisor to Kenny. It was a match made in heaven and under Kenny Liverpool played some of the best football of my young life. With Barnes and Beardsley, Rush and Aldridge Kenny masterminded the Reds dominance of English Football for the remainder of the 80’s. It wasnt easy for him either. 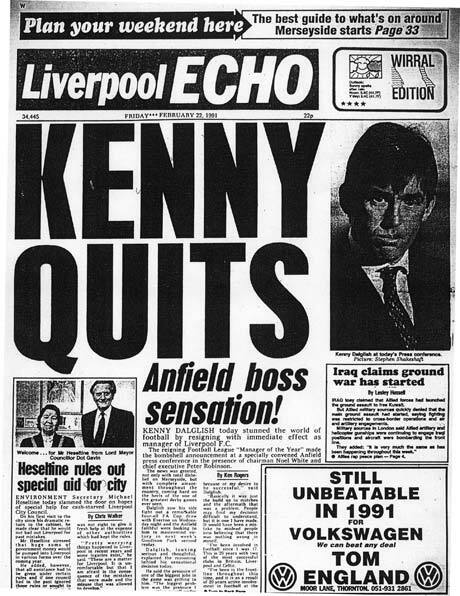 In the aftermath of Heysal, the Reds were banned from Europe and Kenny had the job of picking the Club up off the floor and restoring it to greatness once again. He did it magnificently, winning three League Titles and two FA Cups in just six years. He famously completed ‘the double’ against our city rivals and came agonisingly close to a second on two occasions, losing the FA cup to Wimbledon in ’88 and that agonising title decider against Arsenal at Anfield in ’89. In February 1991 Liverpool sat 3 point s clear at the top of the table. They had just fought one of the most titanic battles ever, against our neighbours from across the park. Four times they had gone ahead, only to be pegged back each time. The game ended 4-4. 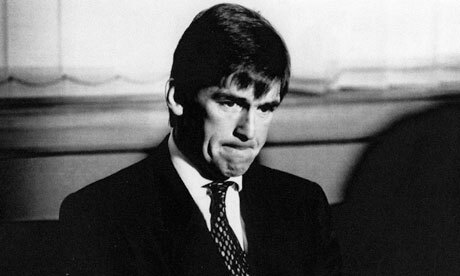 As a performance it was unrecognisable and so to was the Kenny Dalglish who sat in the dugout. History had caught up with the man we call The King. The pressure of carrying the club and city through not one, but two stadium disasters had proved unbearable. He looked a broken man in his goodbye press conference. We have only learned the full extent of the mental turmoil he was suffering since, but at the time it was truly devastating news. I was in work when the news broke. I remember I was sat at my desk when the supervisors phone rang. I heard her say “you’re joking!” and there was something about her tone of voice that made you sit up and listen. I looked around the office and notice everyone else had heard it to. She hung up and with a look that you normally see in someone about to announce the death of statesman. Then, to the whole office she said “Dalglish has resigned”. I was dumbfounded and as I looked around I could see everyone else was too. Even the blues looked genuinely gob-smacked. I can remember leaving work and walking past the ‘Echo’ billboards and still not really believing it. Looking back I still believe that, had he just taken a short break instead of resigning, we’d have won many more titles under Kenny. They called it the kindest sacking in the club’s history. It was anything but for me and it marked a sad end to a glittering coaching career at Anfield. Evans was part of the Anfield Boot-Room tradition and for me he fully deserved to follow in the foot-steps of the great men who preceded him. Perhaps had he followed Fagan in 1985 instead of Kenny…who knows? For Roy its all ifs, buts and maybes. Under Evans Liverpool played some of the most fluid attacking football in the league. The likes of Fowler, McManaman, Owen and Collymore burst onto the scene and at times showed they could tear teams to shreds. However, in an odd parallel with the Rodgers side of 2013-14 his Liverpool team just couldn’t defend. He would describe the famous 4-3 victories over Newcastle as ‘Kamikaze football’ and he was right. Sadly he never managed to fix the problem. 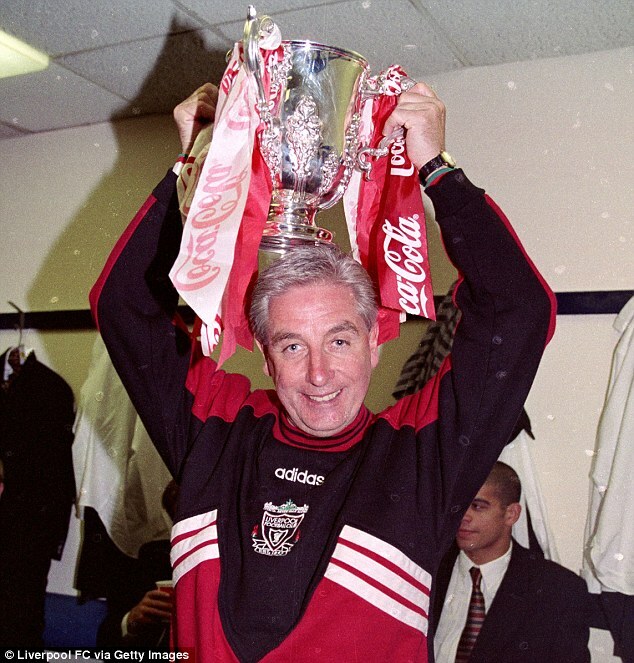 Thankfully Roy didn’t finish his managerial stint without a trophy, winning the League Cup against Bolton in 1995. He also took us close to the title in 1997 and reached the semi-finals of the European Cup-Winners Cup. It will be for the ‘men in white suites’ that Evans reign will be most remembered sadly. The pain of that FA Cup final defeat to United will linger for many reasons. As Evans left the club in ’98, I remember there being a piece about it on the telly. It was one of the local news shows and they ended the clip by playing “Walk Away” by Cast. Heart-breaking. Rafa replace Gerrard Houllier in 2004. The Frenchman had endeared himself to Liverpool supporters by solving the club’s defensive woes and ending their trophyless run. The treble season was one of the best years I have experienced as a Red. Perhaps it was made sweeter by the fact it had been so long since we had seen such success, but it was a tremendous achievement in its own right. However, by the time the man from Spain was saying yes to Rick Parry, Houllier had exhausted much of the esteem in which he was held. It was a sad end to his spell in charge, but while I had never called for his head, it felt that his time had run its course. The same can not be said for the way it felt when Christian Cecil Purslow dumped Rafa in 2010. It really hurt to see Rafa leave and the appointment of Roy Hodgeson as his successor was like salt in a gaping wound. Rafa embraced Liverpool from the moment he walked through the door and The Kop loved him. I remember singing his name relentlessly during one game, I swear we sang that ‘La Bamba’ song for a whole half. Their was a tremendous sense of optimism in 2004, despite the clubs decline in Gerrard’s last season in charge. It turned out we had every reason to believe things were going to get better. While our league form failed to pick up, Rafa took us first to the League Cup final and then famously to the summit of European football in his first season and that’s where we remained throughout his reign. His detractors need to remeber that at one point Liverpool were ranked number one in Europe under Benitez. His achievements are bewildering when you consider the mess the club was in throughout his tenure. The team he had assembled so meticulously barely had time to realise its full potential. Steven Gerrard recently described them as a ‘team of men’ and bemoaned the fact that they didn’t stay together longer. “It kills me because I know we would have won titles” he said and he was dead-right. The fact that the Liverpool team of Reina, Hyypia, Carragher, Alonso, Gerrard, Mascherano and Torres broke apart had nothing to do with Rafa and everything to do with the clubs perilous financial position. Benitez was forever at war with Hicks and Gillett, but I always felt he fighting for us. Rafa still keeps a home on the Wirral and it’s widely believed he would have swam the Mersey for the chance to return. Rafa has gone on to win things at every club he’s been at since Liverpool. It was nothing short of insanity to let him go, but back then the lunatics had well and truly taken over at Anfield. He’s at his boyhood club now and I wish him every success. Signed by Houllier for a ridiculous £2.6 million, Sami Hyypia was the bargain of the decade. Liverpool’s defence were a shambles before the Fin joined us and he rightly went on to captain the club. Hyypia’s trophy hall would be the envy of all but a select few in the Premier League. FA cups, League Cups, Super Cups, UEFA and European Cups. The only one missing was the League Championship. Sami was to come agonisingly close to winning that one under both Houllier and Benitez. His departure was another of those strange decisions we’ve become used to over the years. For me we should have offered him whatever contract he wanted to stay. Instead we allowed him to move on. Who can forget the site of him hoisted into the air by his team-mates after his last game, desperately trying to wipe the tears from his eyes. Yet another player who joined the Reds from foreign shores only to fall in love with the place. The feeling was and still is mutual. 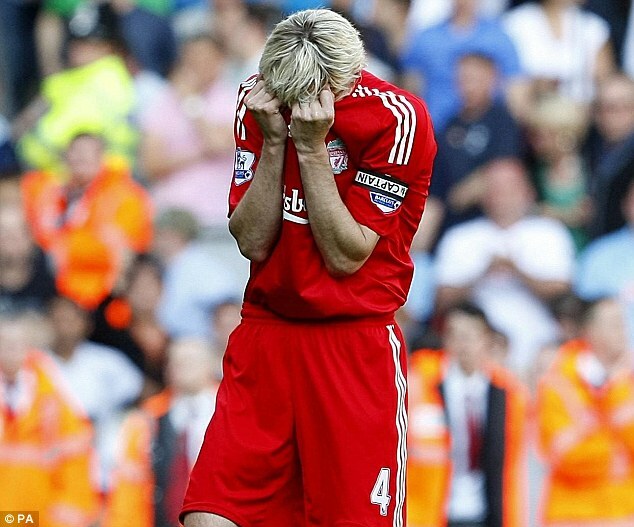 After ten magnificent years in the Liverpool back four Sami Hyypia deserves his place in Anfield folklore. He may have started out as a blue, but few would doubt his red credentials now. Carragher has been the embodiment of The Kop on the pitch for the best part of his career. It wasn’t always the case and in his early days he wasn’t everybody’s cup-of-tea. Even under Houllier he seemed to struggle to nail down a position, playing all across the back four and even as a holding midfielder. Under Rafa he was transformed him into one of the best Centre-Backs in Europe and for me it’s a miracle that nobody came in for him during that period. I can only assume that clubs underestimated him. Maybe they thought he was a local lad playing above his level. Perhaps they thought he couldn’t replicate those blood and thunder performances anywhere else. Thankfully we will never know. When The Kop dream of a team of Carraghers it is his work ethic they sing about. There is no player in recent history who has worked harder than Jamie to get where he did. His seminal performance will always be Istanbul. With every muscle screaming for mercy Carragher pushed on. He threw himself into tackle after cramp inducing tackle and kept Liverpool in the game long enough to reach penalties. It was a sad day when Liverpool allowed him to leave for a career on TV. Jamie may not have cried after his last game, but those of us who had the privilege to be at that match struggled to hold back the tears. He almost scored in that game too. What a fitting tribute that would have been. When Jamie Carragher looks back on his Liverpool career he can do so with his head held high. It will be along time before we see his like again. So we come to the present and perhaps the hardest of goodbyes. 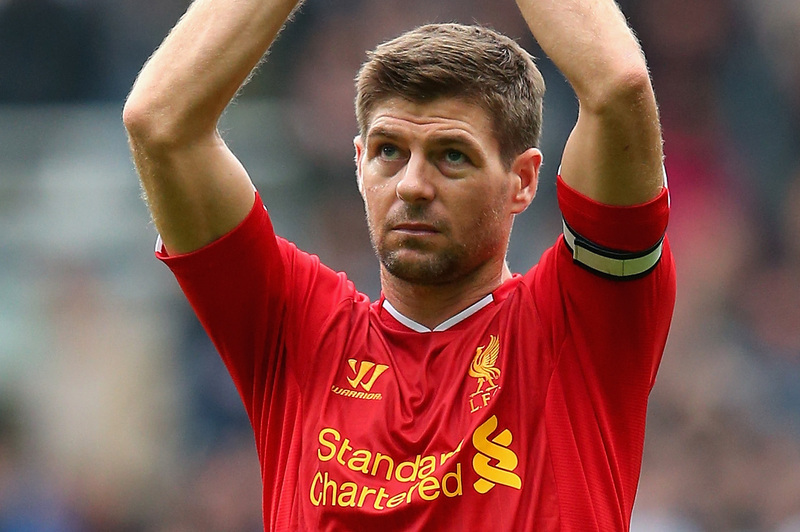 With the departure of Gerrard, Liverpool have not only lost a tremendous player, but they have lost their heartbeat. For any club to have a player of his quality is a rare blessing. For that player to be a local boy, brought up in the academy, who lives and breathes the club can only be described as priceless. Steven Gerrard is quite simply irreplaceable. He has been as important to Liverpool Football club over the last 17 years as Shankly, Paisley or Dalglish were. That may seem a huge exaggeration. Maybe it is, but before you dismiss it out of hand ask yourself this question. How many trophies would Liverpool have won in those 17 years without him? For much of his career Steven was Liverpool Football Club. Only once or twice in all that time was he surrounded by anywhere near the talent his genius deserved. It breaks my heart that he never won the Premier League. His last season was not a fitting finale for the captain, but he is still the greatest player to ever wear the Liver Bird on his chest. I may never see his likes in my lifetime. No more heroes any-more!